Stephen is your local Bli Bli Building Inspector. Stephen is your local Bli Bli inspector for Jim’s Building Inspections. He lives on the Sunshine Coast and is extensively qualified with over 30 years experience. Stephen was always a hands on builder, and has been involved in commercial buildings, new homes, home alterations, shop fit outs, and multiple unit developments. His building projects have typically been architectural homes and renovations. Stephen enjoys liaising with clients, project managers, architect’s and subcontractors, to achieve the optimal standard to surpass customer satisfaction. 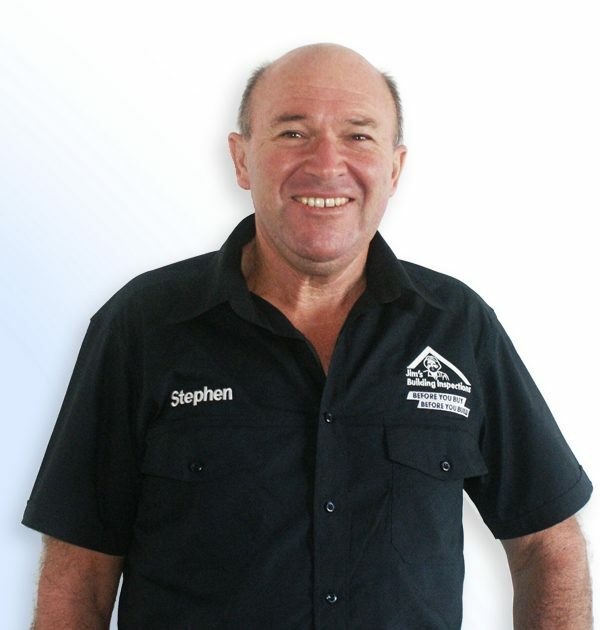 Stephen is a certified building inspector, fully insured and holds a low-rise builders licence. Heoffers a vast range of Building Inspection Services in the Bli Bli area, from Pre-Purchase Building Inspections, New Build Inspections Pest, Pools, Asbestos, Dilapidation and Insurance reports. Stephen comes with extensive knowledge, strong commitment and a passion for quality in customer service, so give Stephen a call for all your inspection requirements.